Approximately 2 percent of American adults are underweight, reports the Centers for Disease Control and Prevention. Weighing too little for your age, height or gender may increase your risk of disease and chronic medical conditions. It's best to gain weight by exercising regularly and eating plenty of unprocessed, low-fat, nutrient-dense foods, says registered dietitian Joanne Larsen, though you can include homemade weight-gain shakes in your diet if you're careful not to overdo them. If you're struggling to gain weight, talk to your doctor about healthy ways to put on pounds. Pour a liquid such as low- or nonfat milk, plant milk, 100 percent fruit juice, low-sodium vegetable juice, water, diet soda, a sugar-free fruit-ade such as lemonade or a combination into a blender. Plan on 8 ounces of liquid for a single serving. Add four to six ice cubes or several large chunks of frozen, unsweetened fruit like strawberries, blueberries or raspberries, if desired. 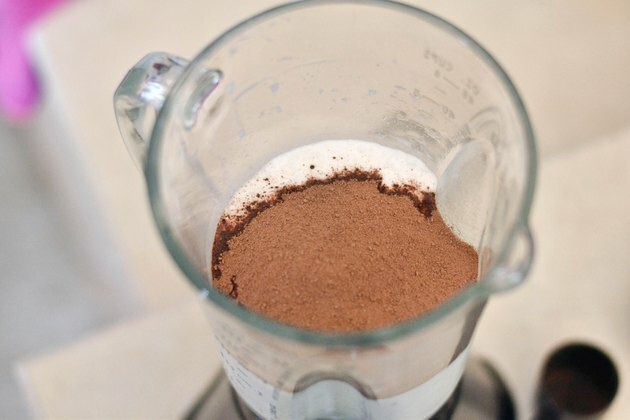 Measure a flavor extract such as lemon, orange, chocolate or vanilla extract into the blender, if desired. 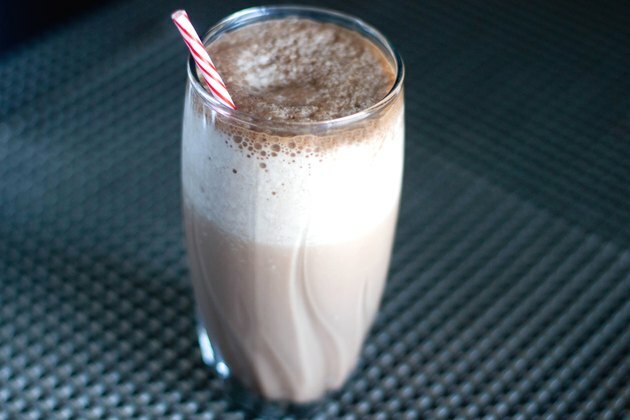 Use 1/2 teaspoon of extract for an 8-ounce shake. Put the blender's lid securely in place. 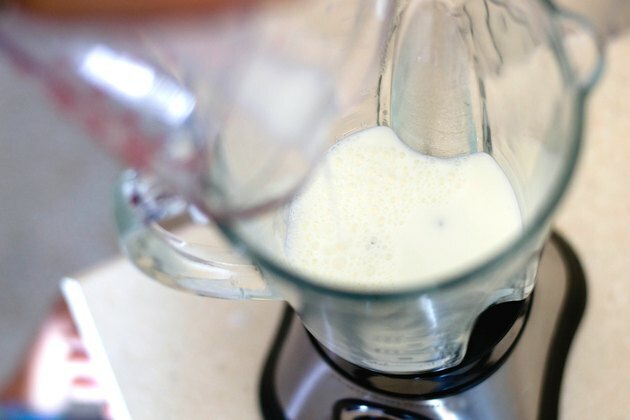 Blend on high until the mixture has reached an even consistency. 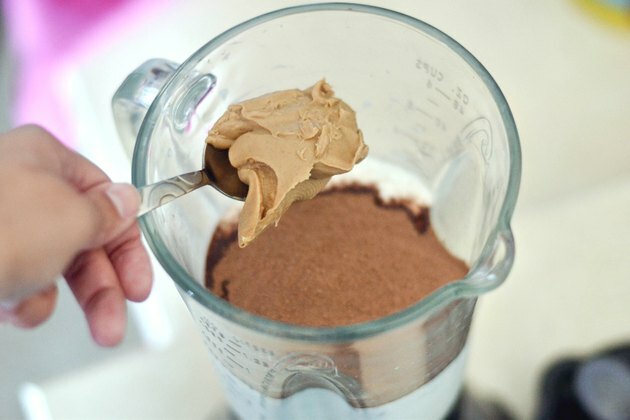 Add flavored or unflavored protein powder to provide no more than 25 grams of protein to the shake mixture. Choose from commercially available whey, soy or hemp protein powders, or use your own prepared from finely ground seeds and nuts such as almonds or sesame, hemp or chia seeds. Place any desired additional ingredients into the blender: A commercial carbohydrate powder like maltodextrin, spices such as cinnamon, cocoa powder, rolled oats or powdered or fresh peanut butter are examples. 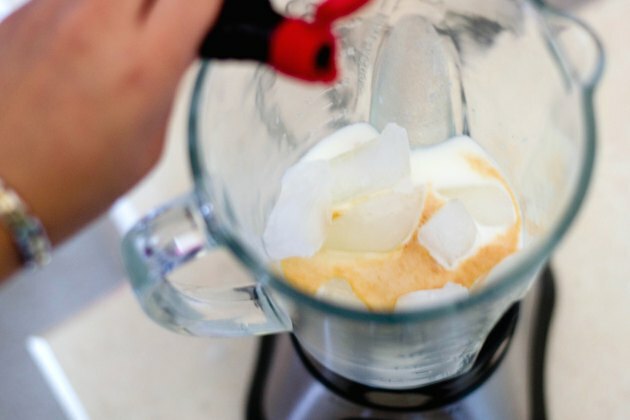 Replace the blender's lid. Process on high until well-blended and serve. Avoid making or consuming weight-gain shakes that contain more than 25 grams of protein per serving, advises the Dana-Farber Cancer Institute. 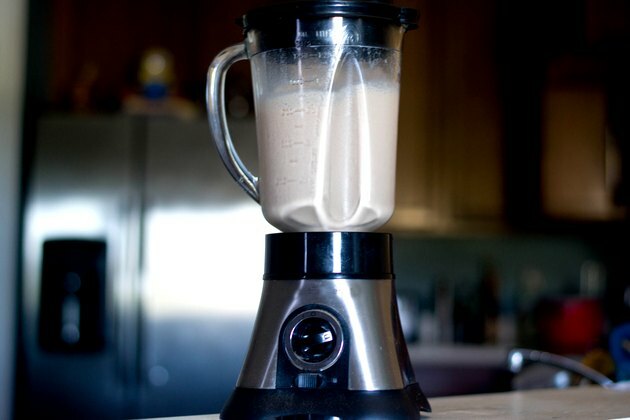 The excess protein in high-protein shakes may place stress on your kidneys. To keep your protein intake within healthy bounds, it's best to use weight-gain shakes only under a doctor's supervision.